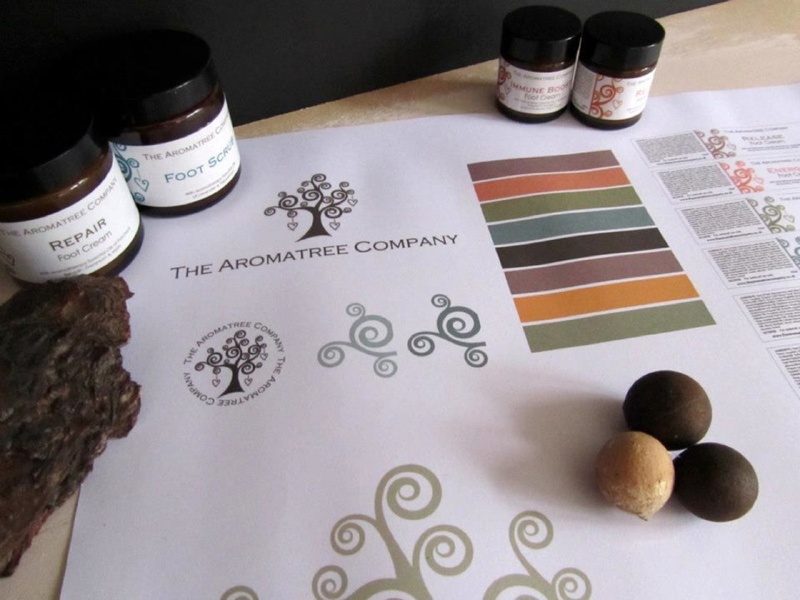 The Aromatree Company was founded and created in 2010 by Kirsten Luff, who has been a qualified Holistic Therapist for 20 years, having studied Aromatherapy, Massage, Kinesiology, Reiki and Reflexology amongst a multitude of postgraduate training! Whilst working in her practise, making bespoke personal care products for her clients and through more training, a range of Aromatherapy, therapeutic foot creams were developed under the name “Feet Treets”. Kirsten decided to develop a range of natural foot care creams which worked therapeutically and systemically with the body and used the power of 100% pure essential oils so she could utilise these within her Reflexology treatments and so adding another dimension to her treatments. The range is now loved by many Reflexologists and other professional therapists and feedback from her peers has been extremely positive and encouraging. In 2011 the “Feet Treets” range became endorsed by Janey Lee Grace, the “natural alternative to everything” guru, author, singer and radio/tv personality. It then won the Platinum Award for Best Footcare Product in 2011 and 2012! We were thrilled! In 2012 Kirsten decided to rebrand the range which has now become “The Aromatree Company” – new logo, new labels, new leaflets, new look! We feel this will create more expansion and creativity within the company. We love the new name and hope you do to! Launched six years ago, the Natural Health Beauty Awards have become one of the most eagerly awaited events in the holistic beauty world. For the first time since its launch, an official ceremony was staged at The Organic & Natural Beauty Show 2013. The Natural Health Beauty Awards Ceremony 2013, awards over 50 of the best organic and natural beauty products in the UK – all free from chemical nasties such as parabens, petroleum, propylene glycol, PEGs and phthalates. We are thrilled also, to have been awarded the Natural Health Beauty Award 2014 once again! We look forward to building on our successes so far and creating a platform of pure, natural products, information and inspiration. I am also a qualified reflexologist and aromatherapist and just wanted to let you know that the creams are all amazing!! i came to the stand at Camexpo and purchased revive, relax and repair foot creams and i absolutely love them. Will definately place an order soon! !